This pleasing, early box, with a hinged lid, secured also with a pair of latches, is important because it shows noticeable Chinese influence and yet has old Dutch import marks to the base. 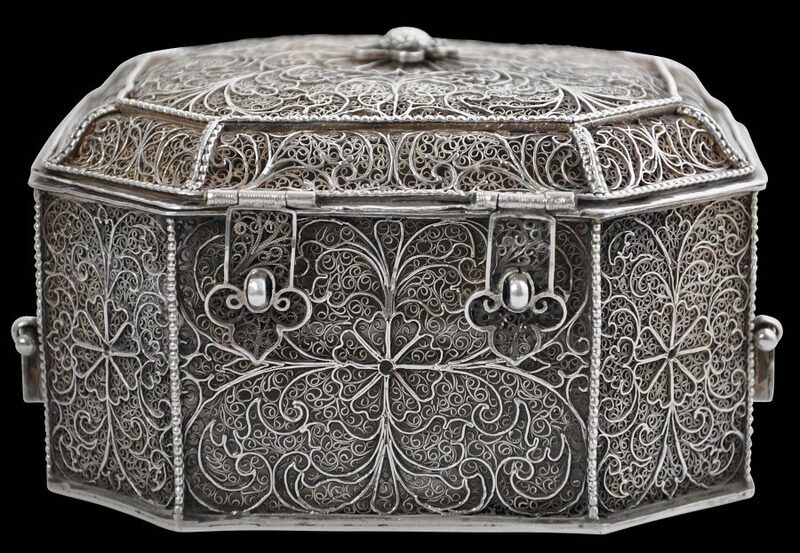 This is suggestive that its origins are not in India but in the Dutch East Indies centred on the trading entrepot of Batavia, where much of the silverwork for the colonial and trading Dutch was done by locally based ethnic Chinese silversmiths who used their techniques and motifs but according to Dutch specifications. 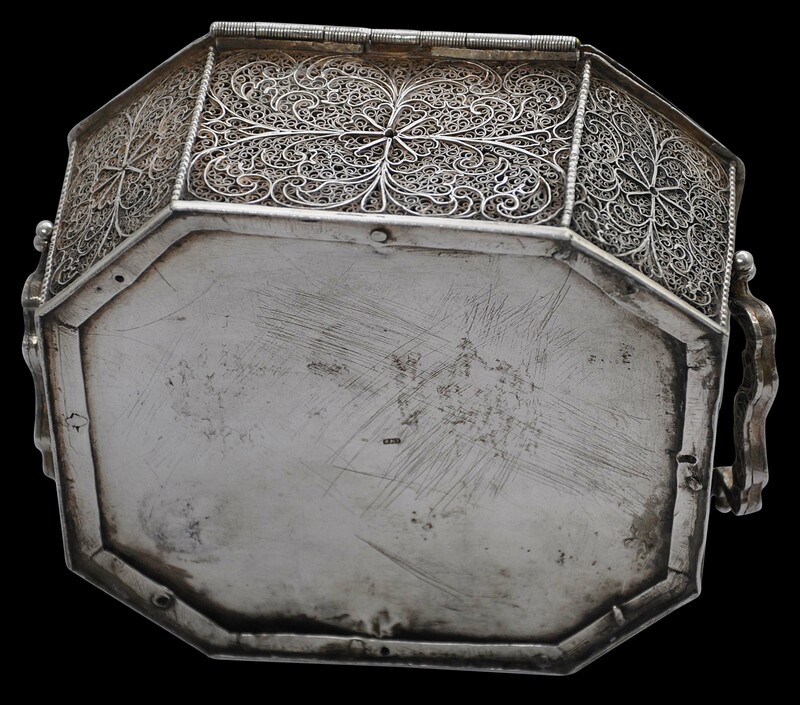 The box is of rectangular form, with eight sides, and with a raised cover with undulating, bevelled sides. 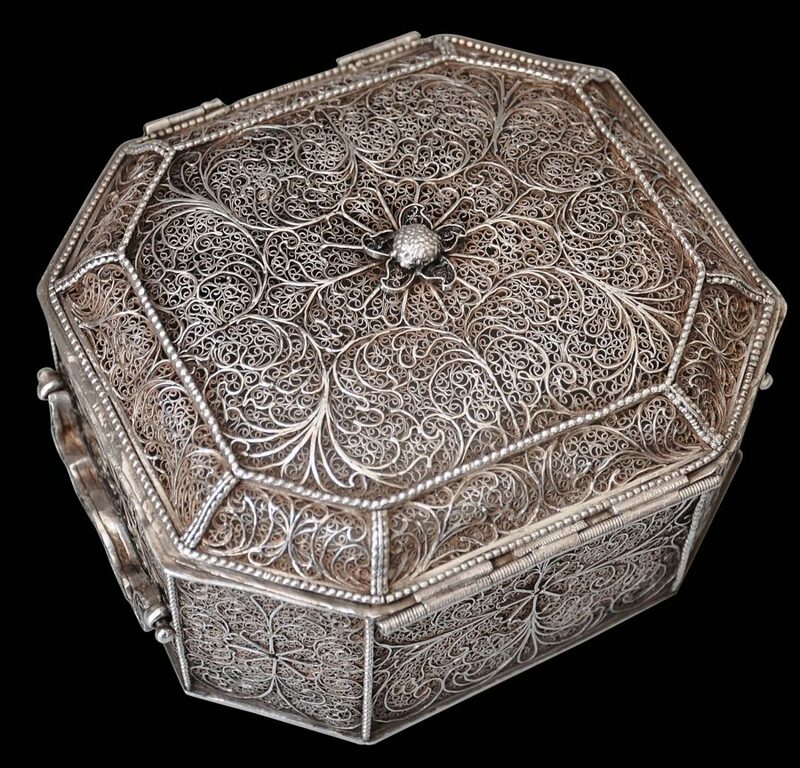 The cover or lid has a flower-form finial. Rococo-inspired filigree handles have been applied to either side, and the cover latches at the front are similarly ornate. The base is of hammered sheet silver. 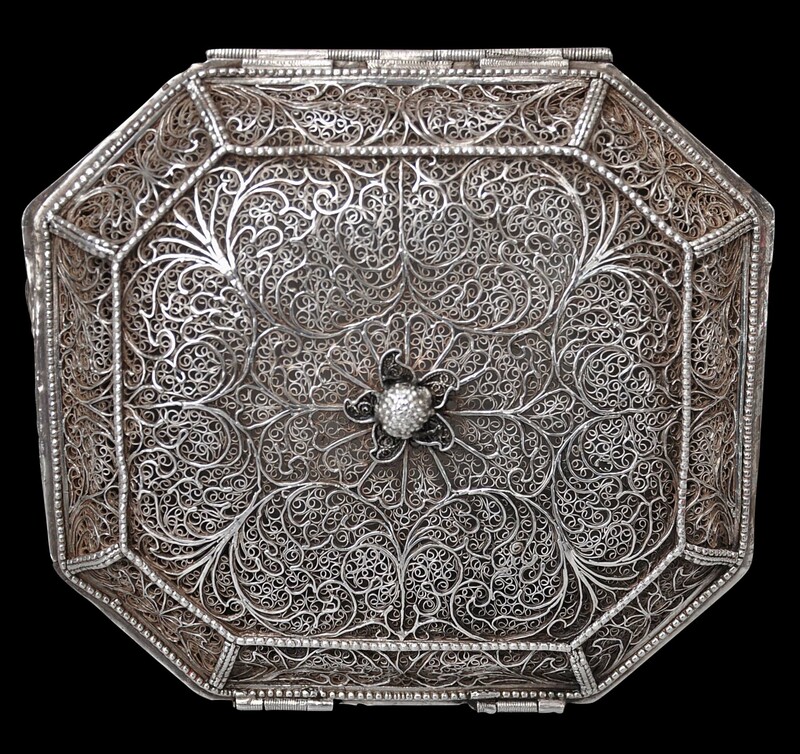 The filigree comprises a mixture of thicker, flat wires and very fine wires tightly curled. The thicker wires mark out the overall pattern and the finer wires serve to fill in the spaces between them. 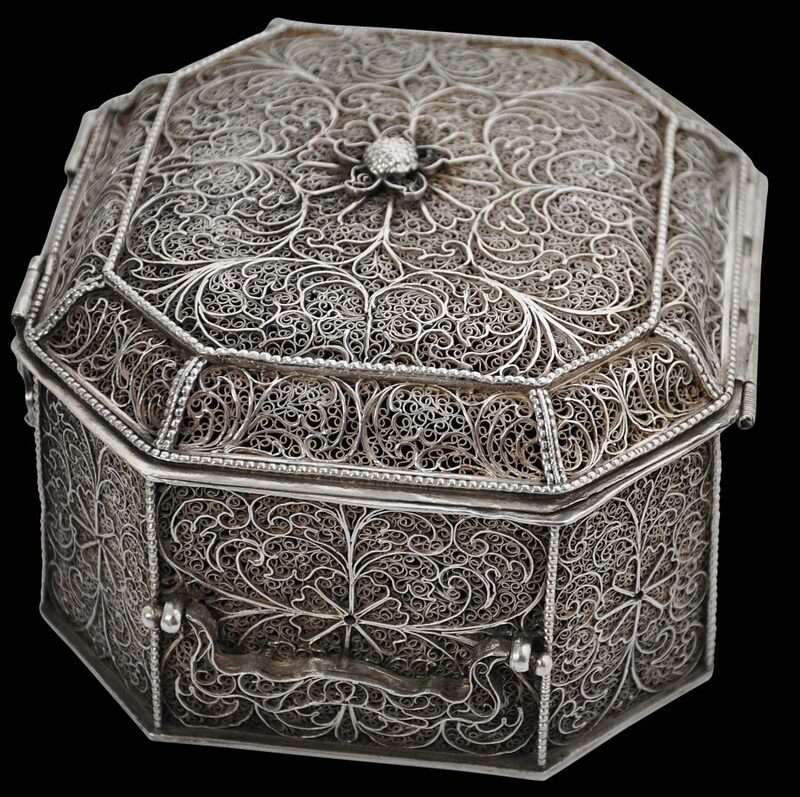 The combination of wide, flattened wire components with fine twisted filigree work is found on articles often ascribed to Goa of the second half of the seventeenth century – see Menshikova (2006, p. 43) for two examples, and Levenson (2007, p. 263-4) for others. 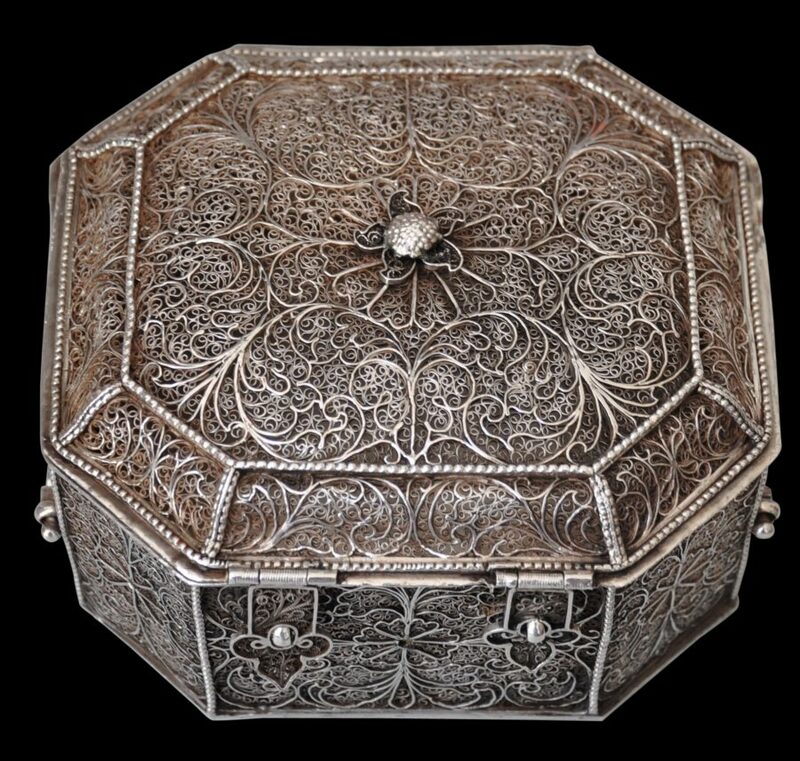 Menshikova refers to filigree items of this type as having been made by ‘Chinese masters in India or Southeast Asia’ in the seventeenth century. Other examples attributed to either Batavia or the nearby west coast of Sumatra are illustrated in Veenendaal (2014). 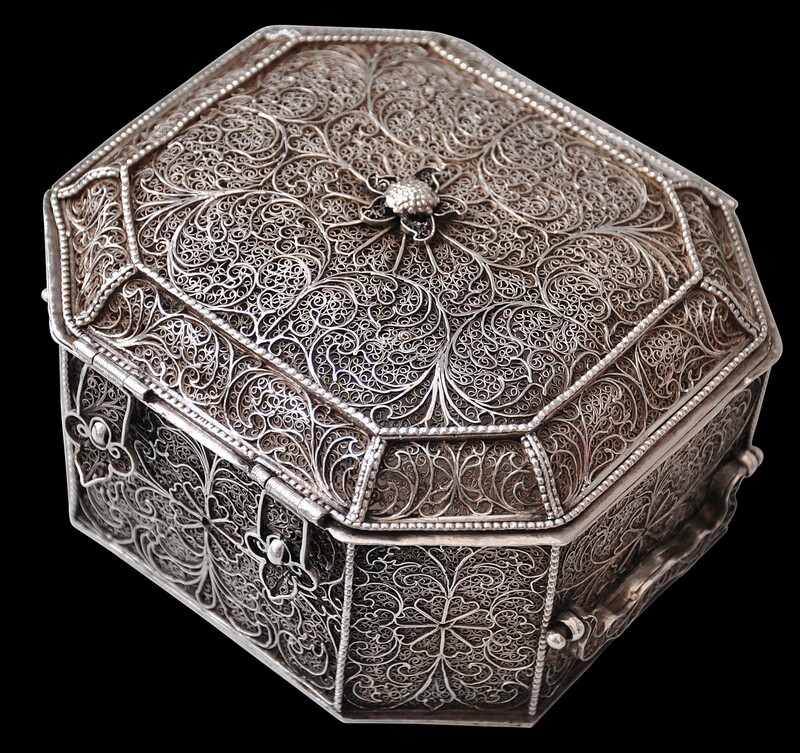 In terms of condition, the box has a fine patina and rounded contours softened by the years and from use. 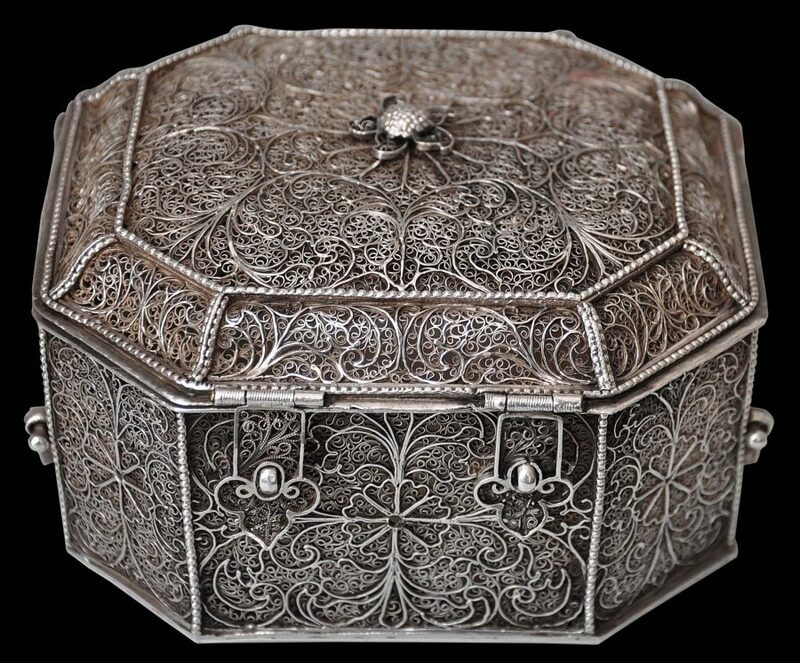 Losses to the filigree are relatively minor. Overall, this is a fine and unusual piece. Curvelo, A., et al, The Orient Museum, Lisbon, Reunion des Musees Nationaux, 2008. 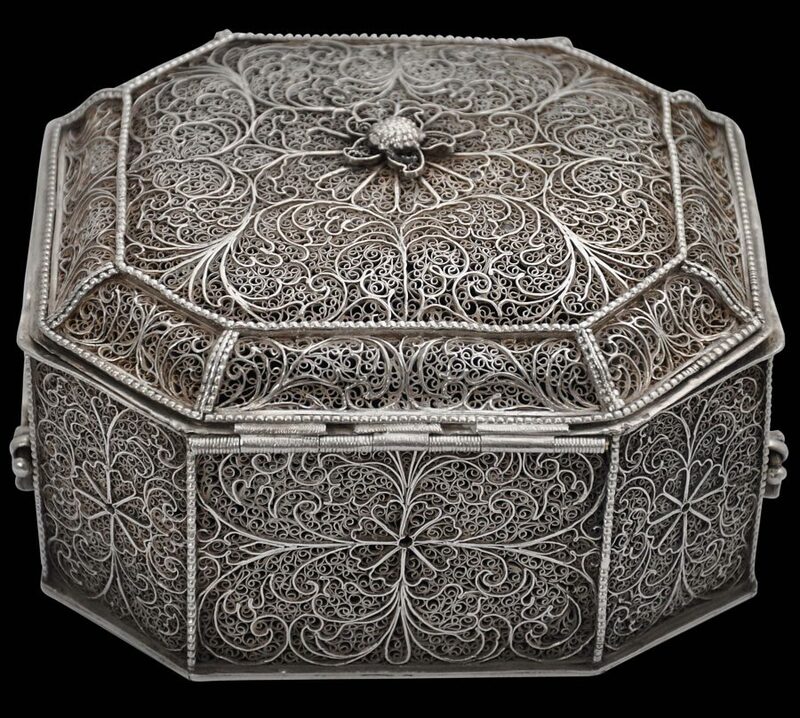 Menshikova, M., Silver – Wonders from the East: Filigree of the Tsars, Hermitage Amsterdam, 2006. Museo de Sao Roque, The Heritage of Rauluchantim, 2006.